Birmingham was the scene for last night’s third and final Party Leaders’ Debate and completes a trilogy which has the potential to change the way British politics works forever. Whoever wins the election, whatever House of Commons permutation the voters throw up, things will probably never be quite the same again. There were no gaffes, no surprises, no game-changing performances and no clear winner last night – it’s almost as if the leaders had all finally learned how the format works. The opening statements were all solid, with carefully chosen turns of phrase, and both Brown and Cameron have clearly learned the Clegg trick of directly addressing the viewers at home. It was also a surprisingly strong examination of policy. In many respects Nick Clegg had the most to lose last night (remarkable when you consider the complexion of this campaign prior to the first debate). His dominant performance in Manchester a fortnight ago turned the 2010 Election on its head, leading to astonishing poll ratings for the Liberal Democrats which have broadly placed them ahead of Labour ever since. Clegg put in another impressive turn last night, even managing to perform strongly on immigration, an area that might not be considered to be a Lib Dem strong point. 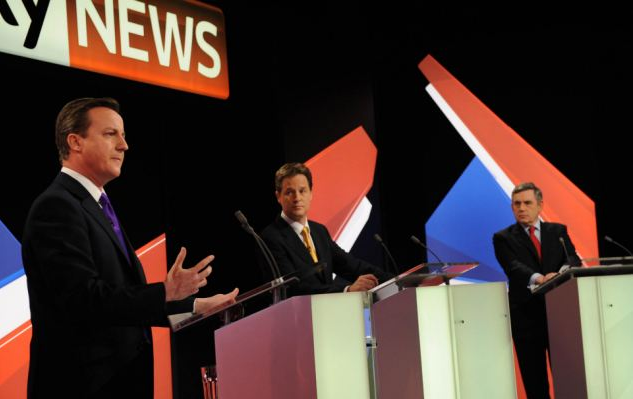 It was also notable that, throughout the debate, he seemed to listen more readily than the other two – Cameron and Brown gave the impression of simply waiting for their turn to speak. David Cameron, who yesterday welcomed an endorsement from The Economist, came into this confrontation on the back of a poor performance in the first debate and only a marginal improvement in the second. Conservative commentators have spent the last two weeks predicting that he would pull a rabbit out of the hat when the pressure was on – instead he turned in another ordinary performance. He was never likely to fare well on economic policy, but he also managed to look dishonest and ill-briefed on immigration, a topic he might have expected to do well on. The spin in today’s Tory press is predictably of a positive nature, but another average performance last night merely highlights the surprising lack of impact the heavily marketed Cameron has had on this campaign. The Conservative operation threatens to be more than slightly jittery for the next seven days. Gordon Brown, attempting to put the media feeding frenzy of ‘Bigotgate’ behind him, must have viewed this debate as a chance to concentrate on what he considers to be his strongest area: the economy. I think he put in his best debate performance, speaking confidently on his favourite subject. In his opening statement he made a smart move by admitting (referring to the incident in Rochdale) that he doesn’t always get things right, and throughout the debate he also deployed a good tactic of painting the Tories as the party of the 1930s. The problem is, the message is almost always lost in Brown’s delivery – no matter how hard he tries, television is not his medium. Over the sequence of televised debates it’s clear that Nick Clegg has made the strongest impact of all the party leaders. Whether Labour and the Tories can shore up their vote share, which has dipped so dramatically over the campaign, is still unknown at this point. But what seems obvious is that Clegg, the clear winner over the three debates, is set to lead the Liberal Democrats to their best result since the party’s formation in the 1980s. This could still prove to be the greatest ‘change’ of all to Britain’s old-fashioned ways of doing politics. The change in tone of the Conservative election campaign has been obvious to even the most casual observer. What started as David Cameron’s victory lap en route to taking up his rightful residence at Downing Street has quickly turned into a panicked, scaremongering attempt to paint a picture of economic armageddon if the electorate decide the Tories can’t be trusted. Add this to the orchestrated attacks on Nick Clegg from the right-wing media and the whole Tory campaign starts to smell a bit desperate. So much for “redoubling the positive”. 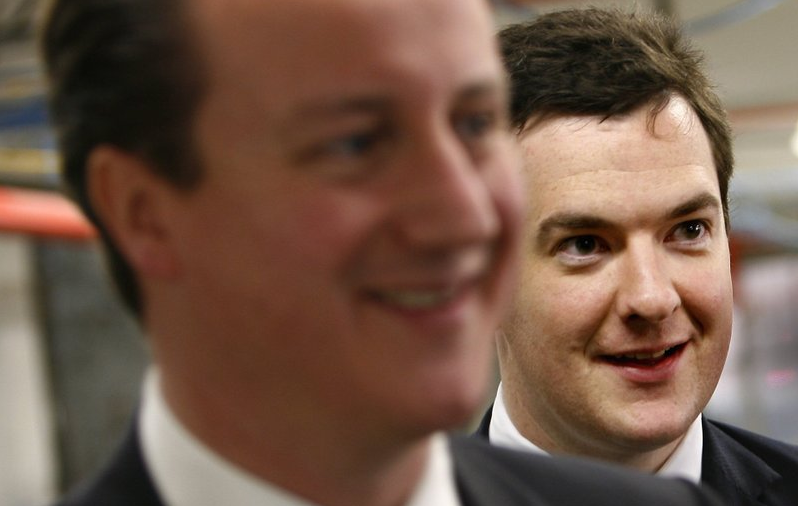 The floundering Tory campaign (unsurprisingly headed by George Osborne) has had more than a touch of hubris about it from the very beginning. The tone has been “We know you all made a mistake by letting someone else run the country these last few years, but we’re preparing ourselves to forgive you”. This arrogance remains undimmed despite the Tory slide in the opinion polls, and the latest twist to their campaign is to effectively tell the electorate (i.e. those who nominally have the power to choose) that the current desire for a hung parliament will lead to indecision, weak government and inevitable economic collapse. It seems the Tories are none too keen on having to achieve a consensus – not for them that terrible continental idea of politicians working together. I’m slightly confused now. When the campaign started, and everything at Conservative HQ still looked peachy, we were all going to be invited to do our bit and have our share of the responsibility (at least insofar as that doesn’t interfere with the exercise of power at the top, of course). Now it looks as though they may have to share the real power, they suddenly don’t seem so keen on the idea. The trouble is, their panicked response doesn’t even ring true to their own supporters. Take, for example, Alex Massie’s response to the Tories’ abject ‘Hung Parliament Party’ campaign in The Spectator. In it, this natural supporter of the Cameron project takes the Tories’ scaremongering apart chunk by chunk, along the way pointing out that Osborne’s dire warning of discontent in the City of London is another demonstration of how out of touch the Tories still are. Massie ends his article with the phrase: “I’d like David Cameron to be the next Prime Minister but I’d prefer it if he became so without insulting everyone’s intelligence along the way”. As the election campaign (mercifully) enters the home straight we can expect more of this type of naked desperation from the Tories and their shameless propagandists in the press. Cameron, Osborne, Murdoch and the rest of the Tory project can feel the prize of absolute power slipping away from them, and they don’t like it one bit. The arrogance of their assertion that they must have unfettered power in the House of Commons to carry out their morally and ideologically empty manifesto programme is breathtaking, and there’s no end in sight. Will defeat be a mercy for Gordon? 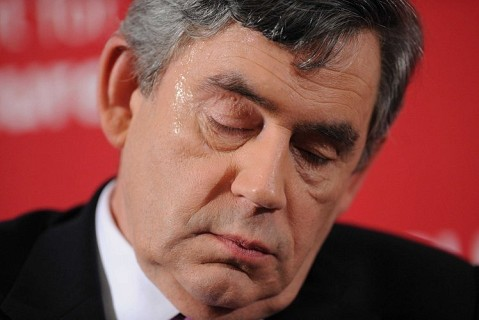 Reflecting on the first two Party Leaders’ debates something struck me which was perhaps not obvious at the time: Gordon Brown didn’t look particularly worried about what must now be the approaching end to his turbulent Premiership. Regardless of how the election campaign twists and turns between now and 6th May, there seems little chance that Brown will be able to cling on to the keys of Number Ten. Even if Labour scrape themselves away from third place in the opinion polls, it would seem ridiculous to suggest that they will recover sufficiently to win a parliamentary majority. So what does the future hold for Gordon Brown? Are there any post-election scenarios in which he survives? There is one, of course, and that’s a Labour majority on 6th May. Unlikely as that outcome seems, the future would still hold a number of traps for Brown, not least the prospect of continual challenges to his position from a parliamentary party which seems ill-at-ease under his leadership. Even so, all the polling data would seem to point to a majority Labour government being the least likely of all the possible General Election outcomes. So what happens if there’s a sudden change of mood to the campaign, or all the polls are wrong, and we end up with a Tory majority? Ironically this is the outcome which is most likely to prolong Brown’s leadership of his party. No deals will have to be done, there will be no rush to replace him in order to strike an agreement with the Lib Dems, and the Labour Party would be able to take its time to choose his successor. He may even start to be missed as the reality of a Cameron/Osborne government hits home. Of course, he’d still be gone by the end of the summer. But to be perfectly honest, the 2010 campaign narrative doesn’t point to a majority for either of the old parties. This in itself is the biggest real “change” on offer, and none of the resulting possibilities offers a Brown premiership the chance of survival. If Labour are the largest party in the new House of Commons, and also claim the largest share of the popular vote, then their claim to lead the government will be the strongest (or least weak). However, even that result would indicate a significant decline in public support for the Brown government – carrying on in the same way would simply not be an option – and I don’t see any circumstances in which Nick Clegg would prop up an administration headed by a Prime Minister who has lost the support of the public (which gives the lie to the oft-repeated claim “Vote Clegg get Brown”). Any Tory who tells you otherwise is clearly in the throes of panic at their previously commanding poll lead disappearing as soon as Cameron, Osborne, Pickles et al faced the exposure of an election campaign. If Labour entertain any hope of governing with Liberal Democrat assistance the first thing they will have to do is replace their leader (the second is agree to proper electoral reform). If the Tories are the largest single party with the largest share of the vote then you could argue that it would be their moral right to try to form a government. In such a scenario things could become a great deal more Machiavellian. 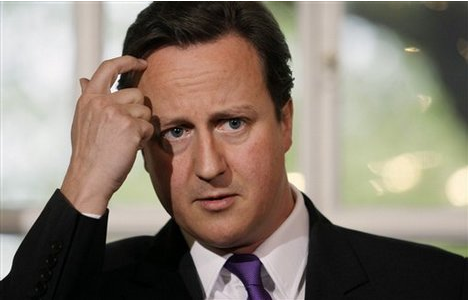 It’s not such an outlandish suggestion that David Cameron would be more comfortable seeking the support (or non-opposition) of the Labour Party than he would be having to make concessions to a Liberal Democrat party which would want to see a number of fundamental changes to the way politics operates in Britain. If that’s not possible then the Tories will have to talk to the Lib Dems and, more importantly, listen to them too. Either way, Brown couldn’t continue at the head of his party. Perhaps the worst result for both Labour and the Conservatives would be if Labour were the largest party despite being only second or third in the popular vote. In such a situation the case for electoral reform would become unarguable. Indeed, even if Labour become the second largest party but lie third in the popular vote the days of first past the post would surely be numbered. Once again, there’s no room for Brown in this picture. My guess is that when the end comes, deep down, Gordon will probably be relieved that it’s all over. There’s no doubt that a man as proud as he is will be full of regrets at the wasted chances of his premiership, not to mention cursing the misfortune which was continually thrown in his direction, but there will surely also be the deeply human reaction that finally the suffering is over. The only way Gordon Brown survives as Labour Leader or Prime Minister is if he wins outright, and it’s not a particularly bold prediction to say that it’s simply not going to happen. 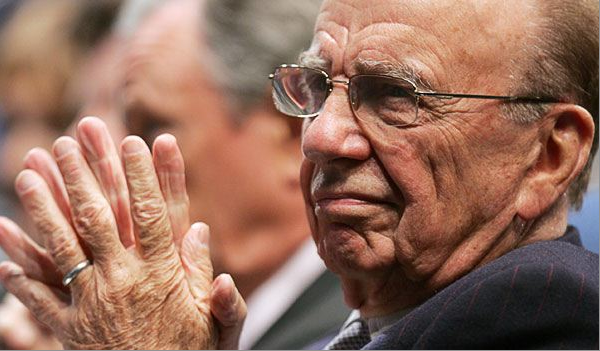 Will Rupert Murdoch be locked out of British politics? Amid all the media hysteria about the prospects and consequences of a hung parliament, possibly the most noteworthy contribution was David Yelland’s surprisingly thoughtful piece in Monday’s Guardian. Yelland speculates that an unexpected by-product of no one party achieving a parliamentary majority would be that Rupert Murdoch’s lengthy and malign influence over British politics may be dealt an unlikely blow. This might explain the ludicrous tone of the General Election coverage in Monday’s edition of Murdoch’s Sun newspaper. The paper’s YouGov election poll (which put the Lib Dems in the lead on 33%) clearly demonstrated that The Sun’s six month propaganda campaign on behalf of the Conservatives has had precious little effect on its own readership. Undaunted, they went for the Lib Dem jugular. Page after page attempted to whip the reader into a frenzy of terror at the prospect of life under “loony” Lib Dem overlords. Scrapping the Trident replacement would inevitably lead to the humiliation of Brittania before the enemies of the Empire, the country would prostrate itself at the feet of the evil European socialist conspiracy, and (worst of all) the place would be bloody well crawling in immigrants. 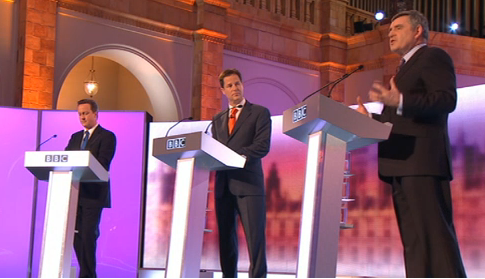 I suppose Nick Clegg should be flattered. If (arguably) the world’s most powerful man has unleashed his principle attack dog on them, then the Lib Dems must be doing something right. Moreover, NewsCorp must fear something unwelcome around the corner if Clegg has a hand in the next government. As we know, Murdoch’s operation is only concerned with one thing: continued business success. In the case of his British media interests, this has always been inextricably linked with being on the right side of the people who regulate the industry. The Sun’s opportunistic switch last year from Labour to the Tories was a classic example of this: NewsCorp judged that Cameron was going to win, so it was time to reignite the flame that burned so strongly during the union-filleting Thatcher years. Perhaps their biggest fear, as David Yelland speculates, is having people in charge with whom they have no relationship. 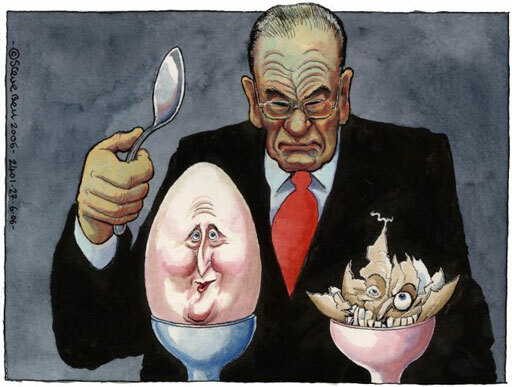 They’ve never bothered with Clegg and they’ve burned their bridges with Brown, and if Cameron fails to seal the deal on 6th May Murdoch won’t have anyone to play with. The news coverage would inevitably be spiteful and dishonest but, perhaps only for a short time, the government could go about its business without having to run things by the editor of The Sun. Perhaps as part of that process we might even end up having a sensible debate about the nature of media ownership in Britain. OK, it has the odd spelling mistake, but at least you know it was put together by a real person. And that it was put together without the benefit of the Ashcroft millions. I love it.